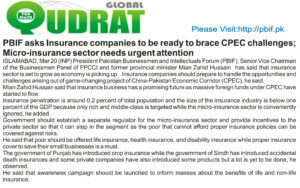 Insurance sector growth inevitable as economy is picking up, Insurance companies should brace for CPEC challenges, Micro-insurance sector needs urgent attention. 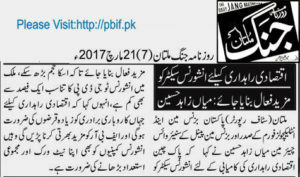 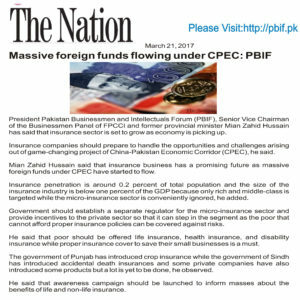 President Pakistan Businessmen and Intellectuals Forum (PBIF), President AKIA, Senior Vice Chairman of the Businessmen Panel of FPCCI and former provincial minister Mian Zahid Hussain said that insurance sector is set to grow as economy is picking up due to successful strategies of Federal Government and Finance Minister Ishaq Dar. 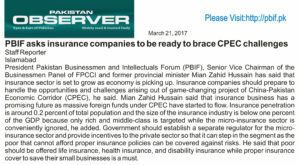 Insurance companies should prepare to handle the opportunities and challenges arising out of game-changing project of China-Pakistan Economic Corridor (CPEC), he said. Mian Zahid Hussain said that insurance business has a promising future as massive foreign funds under CPEC have started to flow. 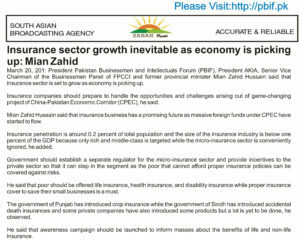 Insurance penetration is around 0.2 percent of total population and the size of the insurance industry is below one percent of the GDP because only rich and middle-class is targeted while the micro-insurance sector is conveniently ignored, he added. 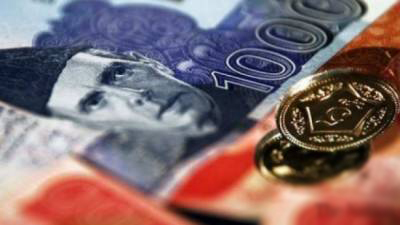 Government should establish a separate regulator for the micro-insurance sector and provide incentives to the private sector so that it can step in the segment as the poor that cannot afford proper insurance policies can be covered against risks. 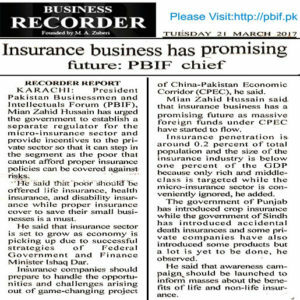 He said that poor should be offered life insurance, health insurance, and disability insurance while proper insurance cover to save their small businesses is a must. 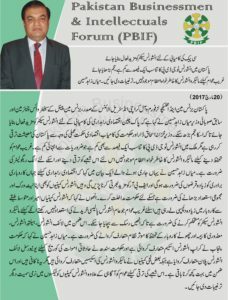 The government of Punjab has introduced crop insurance while the government of Sindh has introduced accidental death insurances and some private companies have also introduced some products but a lot is yet to be done, he observed. 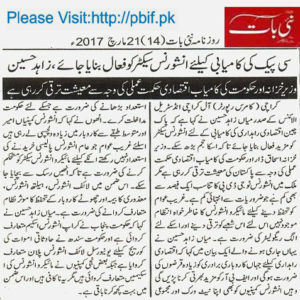 He said that awareness campaign should be launched to inform masses about the benefits of life and non-life insurance. 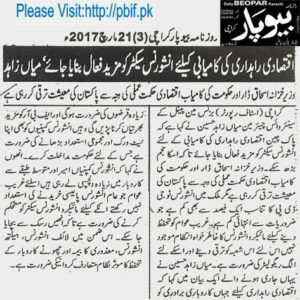 Previous articleEconomic corridor to increase GDP three fold, Conspirators are keeping Pakistani investors away from project, Fishing town of Gwadar to become successful economic hub. 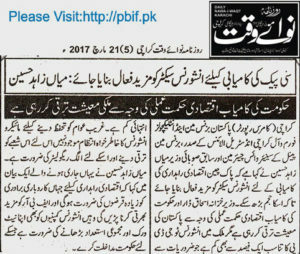 Next articleCountry facing heavy losses on account of food trade, Influx of Chinese to boost food imports from friendly nation.